Will the iPhone 6 finally support NFC technology? The past few weeks have been an outpouring of rumors about the upcoming iPhone 6 – its new features, highlights and everything that would make it retain the luster that the iPhone family is known for. So far, nothing can be confirmed from those reports. One of the highlights that users and tech geeks have been waiting from the Cupertino giant, however, is not so much the next-generation features, but more prevalently the introduction of the near-field communications technology. The integration of NFC into a mobile device is a major indication of strong security measure in place, not to mention that it is a big catch for enterprises that want to sell products through smartphones and tablets. One application that NFC finds great use is on network access control, for which many tech companies are offering this kind of technology. That is, of course, just one of the applications for NFC, and many more are expected to come out as it takes off. But while most vendors of smartphones and tablets, including its closes rival Samsung, have already adopted the NFC, Apple continues to stick to its proclamation way back in 2012 that it would not use NFC for its products, nor is the technology even in the minds of its product development team because it said it believes the NFC does not address every customer requirement. 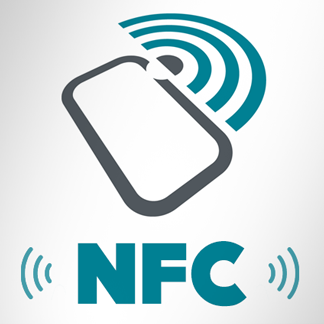 Sure, no single technological feature can meet all demands, but NFC offers a lot more solution than nothing at all. Of course, two years have passed since Apple made that statement, and all throughout the years past new challenges have emerged calling for new solutions. And NFC is still a timely key to those problems, not the least in security. In fact, in 2013 it can be recalled that Apple applied for a patent for a device that features shared NFC and sensors. So the idea has not been totally rejected by Apple. Apple might have finally realized that launching an iPhone with near-field communications could be the stepping stone for the product to find its way into enterprise customers, for which BlackBerry was the key player in the past before the business fumbled for other reasons. Couple that with the recently unveiled Touch ID fingerprint reader, and you have a rock-star smartphone that would surely make the iPhone an insurmountable leader in the mobile device sector. Apple has already launched the Touch ID a few months ago when it launched the iPhone 5S, are we going to see an NFC-enabled iPhone next?